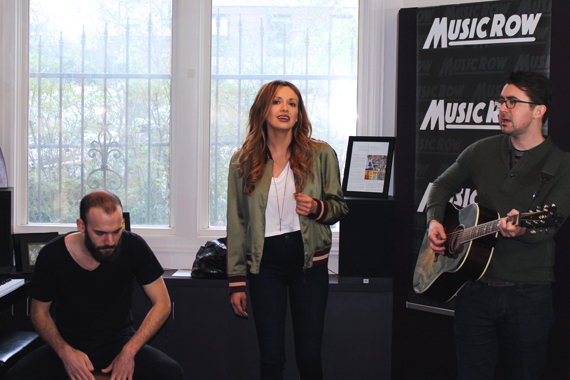 Big Machine Records newcomer Carly Pearce recently stopped by the MusicRow offices to share new music, including her radio debut, “Every Little Thing,” which began adding at stations this week. The Kentucky native moved to Tennessee at the age of 16 to work full time at a Dollywood country show. Now, 10 years and a few heartbreaks later, Pearce is ready to speak out with her own material. After taking out a loan to record an EP with no Nashville takers, Pearce caught the attention of Pretty Little Liars’ actress and singer Lucy Hale. The invitation to join Hale’s country tour as a background vocalist came after appearing in Hale’s music video. Pearce then fiercely broke out on her own, landing as one of CMT’s Next Women of Country (2016), a deal with busbee and BMG, a management deal with Vector and a record contract with Scott Borchetta‘s empire, announced in January. Earlier this month, along with the rest of BMLG Records’ artists, Pearce was transitioned to Big Machine Records. 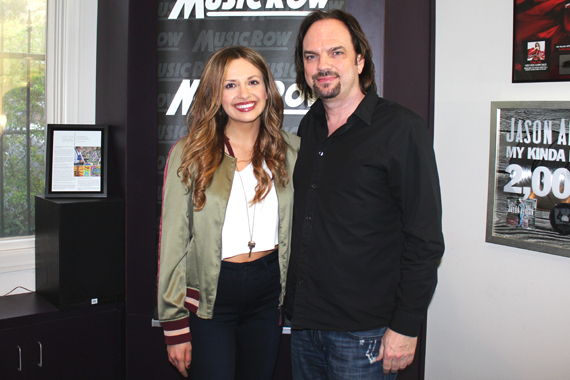 Carly Pearce with MusicRow owner/publisher Sherod Robertson. With the support of her power-player team, Pearce has garnered additional appearances at the Opry and on Sirius XM. A duet with Josh Abbott Band, “Wasn’t That Drunk,” has already charted while she has toured with Hunter Hayes, Eli Young Band and Kelsea Ballerini. Pearce wrote “Every Little Thing” with Emily Shackelton and busbee and has spent time in the writing room for additional debut tracks with Hillary Lindsey, Shane McAnally, Laura Veltz and Allison Veltz. Pearce additionaly treated MusicRow to “Ride Home,” a tribute to her family and hometown she says she may not have appreciated as well as she could have while growing up. She also delivered the whimsical “Hide The Wine,” cleverly advising against pouring alcohol on an old flame. Pearce is currently in the studio finalizing her debut project. 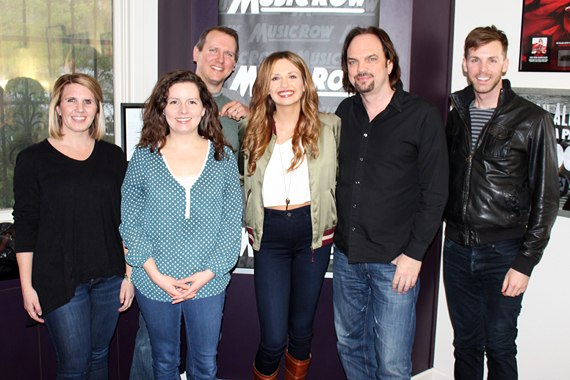 Carly Pearce with MusicRow staffers.